Wether it’s a small patch up job on an existing lawn or a complete new lawn that you are looking for GJL Paving and landscaping can will provide you with a comprehensive quality service from start to finish. We supply and lay various grades of turf for every type of application and budget. If your having issues with good growth or drainage problems we can also install land drains and new top soil and there are also various options for lawn edgings and planting borders. 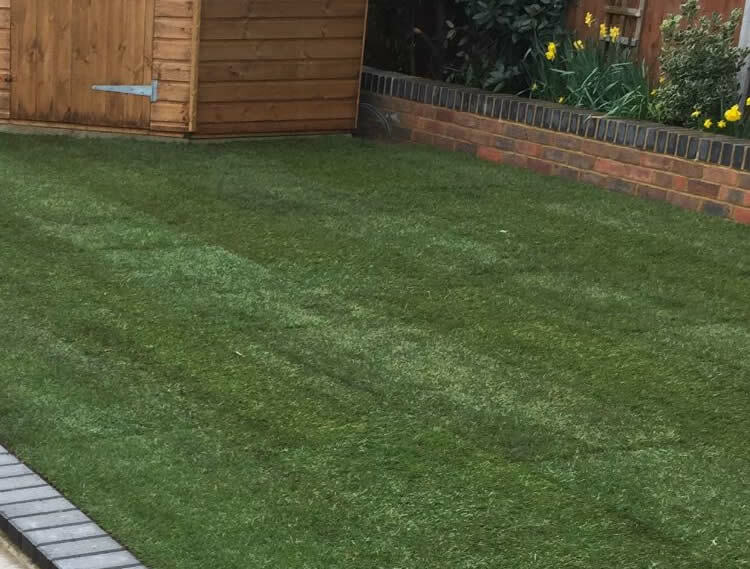 We can offer various lawn and turfing solutions in the areas of Aldershot, Guildford, Farnham, Farnborough, Camberley, Reading, Basingstoke and Bracknell or any other area in and around Berkshire, Hampshire and Surrey.